As President of Moss, Scott inspires and empowers his team to create the exceptional. His innate curiosity drives a culture of continuous learning where insight, engagement and determination define an individual’s success. A natural leader, Scott effortlessly engages all levels of the organization with an approachable and collaborative style that mirrors the company’s core values – work hard, be nice, have fun. Construction is in Scott’s DNA. He grew up around jobsites and started working in the field when he turned 17. His first job as laborer on a concrete forming crew gave Scott a healthy respect for the hard work and dedication required to be successful in construction. He studied the industry in college, and after graduating he worked his way up from project engineer to project manager. In 2004, Scott and his father, Bob, started Moss. Together they created the company’s first winning presentation and managed the company’s first project. Today, Moss employs over 600 people across the US with revenue exceeding $1 Billion. Scott holds a Bachelor’s Degree in Building Construction from the University of Florida and is a Certified General Contractor. He is a member of the Young President’s Organization and Harvard Business School’s Young President’s Program. 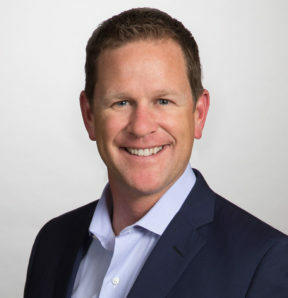 Scott is also an advisory Board Member of Urban Land Institute’s Southeast Florida/Caribbean Chapter and is a member of the Construction Industry Round Table. Previously, Scott served as the Chairman of Associated Builders and Contractors – Florida East Coast Chapter.